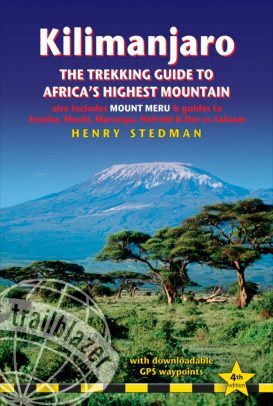 There are six established routes to climb Mount Kilimanjaro – Marangu, Machame, Lemosho, Shira, Rongai and Umbwe. The Marangu, Machame, and Umbwe routes all approach from the south of the mountain. The Lemosho and Shira routes approach from the west. The Rongai route approaches from the north near Kenya. All routes except Marangu and Rongai descend via Mweka. The Northern Circuit route is one of the best routes on Kilimanjaro, offering nearly 360 degrees of beautiful scenery including the quiet, rarely visited northern slopes. As the longest route on Kilimanjaro, the Northern Circuit allows for the best acclimatization time and the highest summit success rate, therefore this route is highly recommended. The route approaches Mount Kilimanjaro from the west, beginning with a long drive from Moshi to Londorossi Gate. From there, the first two days are spent trekking through the rainforest to Shira Ridge, before crossing the Shira Plateau. The route then heads north and circles clockwise from Moir Hut to Buffalo Camp to School Hut, before summiting from the east.